Our K-12 global education symposium is held each October at the William and Ida Friday Center in Chapel Hill, NC. 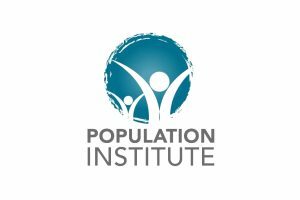 This day-and-a-half program explores significant global issues, offers best practices and resources in global education and provides educators an opportunity to develop a global action plan for their classroom, school or system. It’s an immersive professional development experience that will increase educators’ knowledge of global issues and global competency skills and promote global education by integrating these issues in the classroom or school culture. This program is designed to meet the global education needs of K-12 classroom teachers of all disciplines, administrators, media coordinators, other school professionals, central office and all educators seeking the Global Educator Digital Badge. New! Earn Digital Learning Competency CEUs! Online registration is closed; day-of registration will be at the Friday Conference Center at 8:00 a.m. on Wednesday, October 17, 2018. View a pdf of the program here. Sun Bujri is a Montagnard, specifically from the Bunong tribe. She was born in the central highlands of Vietnam, and she lived in a refugee camp in Cambodia for two years before moving with her family to the United States in 2002, when she was seven. She graduated from UNC Wilmington with a B.A. in psychology and international studies. She has done work with the Montagnard Dega Association assisting in the Montagnard Hypertension Project and now the Montagnard Population Count. Currently, Sun works for the Southeast Asian Coalition (SEAC) as their Statewide Base Building Organizer. 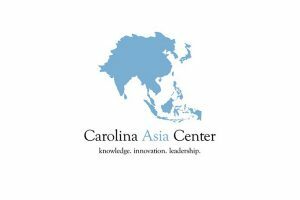 SEAC is a social justice organization committed to community education, youth leadership and civic engagement services in the growing Southeast Asian community in the Carolinas. Mai Butrang was born in 1996 in the Central Highlands of Vietnam in the village of Dak Mil. Her family made their living as coffee farmers and lived off their livestock. Due to religious persecution, she along with her parents and three brothers refugeed to the United States in 2002. She grew up in Greensboro, NC and graduated from Walter Hines Pages High School in 2015. She is currently in college as a nursing student. Holly Carter is the founder and executive director of BYkids, a nonprofit organization pairing master filmmakers with youth from around the world to create documentaries. She began her career as a writer and editor at The New York Times and was nominated for a Pulitzer Prize. Since then she lived in Korea as a Henry Luce scholar and print and television journalist; produced the award-winning documentary Margaret Sanger; co-founded North Carolina’s Full Frame Festival; served as a consultant for The After-School Corporation; produced the PBS series Media Matters; and most recently was the executive director of The Global Film Initiative. Mariah Dunn Kramer is an instructor of film studies at UNC Wilmington, and an independent documentary filmmaker. She has received multiple awards for her work, which has been screened in over twenty festivals. Mariah’s most recent film, This is My Home Now, was broadcast on PBS and the World Channel. Kramer’s graduate thesis film, The Healing Power of Art, won the Audience Choice Award at the BolderLife Film Festival in Denver as well as a Royal Reel Award from the Canada International Film Festival. Mariah enjoys working on films that allow her to combine her interests in filmmaking and teaching by involving the youth featured in her productions in the filmmaking process. 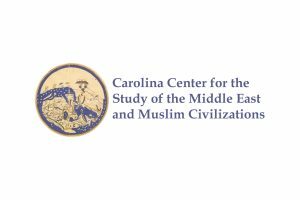 Charles Kurzman is a professor of sociology at UNC-Chapel Hill and co-director of the Carolina Center for the Study of the Middle East and Muslim Civilizations. He is author of The Missing Martyrs, Democracy Denied, 1905-1915 and The Unthinkable Revolution in Iran, and editor of the anthologies Liberal Islam and Modernist Islam, 1840-1940. Dean MacLeod is an assistant director of alumni engagement at UNC Greensboro. From 2012 to early 2018, he was the curator of education at the Greensboro History Museum where he co-produced This Is My Home Now. Previously, he worked at the National Law Enforcement Museum and U.S. Holocaust Memorial Museum; he has also been a high school social studies teacher and an English for speakers of other languages instructor in Europe. He is the grateful husband of Jessica and daddy to their three wonderful children. Arvind Malhotra is the H. Allen Andrew Professor of Entrepreneurial Education and a professor of strategy and entrepreneurship. His research projects include studying how successful brands leverage social media, open-innovation organizational structures, adoption of innovative technology-based services and management of knowledge. He has consulted, conducted applied research projects or led executive development workshops with ESPN, the U.S. Navy, the U.S. Air Force, IBM, ExxonMobil, Sprint, Cisco and more. His research has been published in leading academic journals. Malhotra received his Ph.D. in business administration and his M.S. in industrial and systems engineering from the University of Southern California. He earned his B.E. in electronics and communications engineering from the University of Delhi. 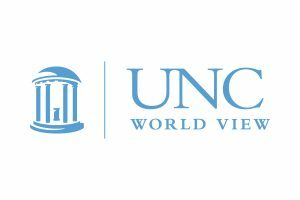 Graeme Robertson is a professor of political science at UNC-Chapel Hill and director of the Center for Slavic, Eurasian and East European Studies. His work focuses on political protest and regime support in authoritarian regimes. His most recent publications include Revolution and Reform in Ukraine, as well as scholarly articles on political institutions in authoritarian regimes, on the political psychology of dictatorship and on nationalism and identity. His first book, The Politics of Protest in Hybrid Regimes: Managing Dissent in Post-Communist Russia, was published by Cambridge University Press in January 2011. Graeme’s new book (with Samuel Greene), Putin v. the People, will be published by Yale University Press in April 2019. 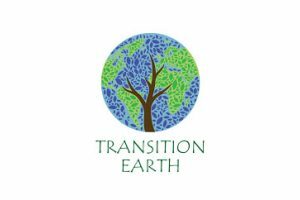 Rachel Willis is a professor at UNC-Chapel Hill and a Thorp Faculty Engaged Scholar working on port planning for climate change. A labor economist who has focused on access to work in the global economy, her current research on is a result of recent fellowships at the Institute for Emerging Issues, the Institute for the Arts and Humanities and the Global Research Institute. Her previous engaged scholarship projects on work access with respect to childcare, education, transportation and disability have resulted in long-term university/community collaborations across North Carolina. She holds a Ph.D. from Northwestern University, a M.A. from University of Notre Dame and a B.S. from University of California at Riverside, all in economics, as well as a B.A. in political science from University of California at Riverside. Film Synopsis: My Beautiful Nicaragua: 12-year-old Edelsin Linette Mendez lives with her siblings and parents on their small coffee farm in Nicaragua. As a result of climate change, increasing temperatures and erratic rainfall now facilitate the growth of a fungus that kills the crop. In the last three years alone, the Mendez family harvest has been reduced over 50 percent, forcing them into poverty. With the use of a video camera, Edelsin hopes to make vivid the serious consequences of a severely damaged coffee harvest to her own future and that of her country. Film Synopsis: This Is My Home Now documents the lives of four Montagnard youths whose families have come to America in the past decade from Asia. They live in two worlds – that of their parents and grandparents, who lived in the highlands of Viet Nam but fled from government persecution for their Christian religion and desire for autonomy – and one of constant learning and adaptation to be Americans in North Carolina. Heather Singmaster is the director of CTE and the Global Cities Education Network in the Center for Global Education at the Asia Society, where her work focuses on international benchmarking and integrating global competence into Career Technical Education (CTE) programs. She leads the Global Cities Education Network, a network of cities focused on best practice sharing in education. Heather writes and speaks regularly on global education and is host of Education Week’s Global Learning blog. Currently, she is working in partnership with ACTE and Advance CTE to create online professional development modules and resources to support the CTE field. She previously worked at the Council on Foreign Relations, the American Association for the Advancement of Science and the Office of the United States Trade Representative. 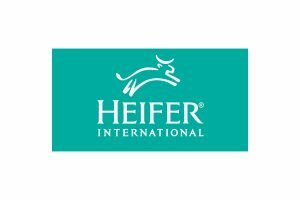 Heather holds a master’s degree focused in anthropology from New York University and a bachelor’s degree in international affairs from George Washington University. Note: A number of concurrent sessions are aligned with the NC Digital Learning Competencies. Educators can receive 1.5 CEUs for the entire program, with up to 1.0 CEUs applicable towards DLCs. English Learner (aka ESL) specialists have a front-row seat to observe how cultural differences affect both teaching and learning in content classrooms. Teachers and administrators can be puzzled and frustrated by the behavior of EL students, while ELs can be daunted and confused by unfamiliar classroom expectations and instructional practices. This session will illuminate some of the “unwritten rules” of our schools, examine examples of how cultural differences manifest in the classroom and identify some interpersonal and instructional strategies that are effective with English Learners and other students from diverse cultural backgrounds. Career Readiness in a Global Economy DLC aligned! To be career ready in today’s interconnected economy, students will need 21st century workforce skills that include global competence. CTE is critical to ensuring all students have these skills, with many schools and districts working to upgrade their CTE programs to meet the needs of the global economy. This interactive session will define the global workforce readiness skills your students need; examine examples of current globally-focused CTE programs at the school and district level; and explore free, online professional development tools for administrators and CTE educators to assist in integrating global content into their schools and classrooms. 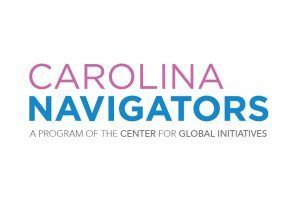 In this interactive session, you will learn how Carolina Navigators makes it easy for you to go “beyond the single stories” of countries and cultures in your classroom. 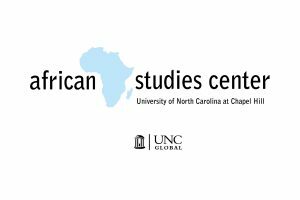 An innovative service-learning program, Navigators works with UNC-Chapel Hill students with international expertise to create FREE global education resources for K-14 educators and students across the state. Participants will go on a virtual and hands-on tour of available global education resources and participate in a model activity. 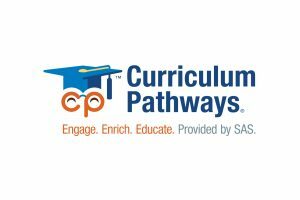 Making Connections: Digital Learning Competencies and Global Education DLC aligned! 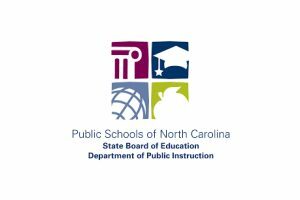 In 2016, the State Board of Education approved digital learning competencies for teachers and administrators (DLCs). What does this mean for us as educators? How do the DLCs connect with global education? Join this session to find out! Participants will benefit from bringing a fully charged computing device as this session will be digitally interactive. Bringing the world into the classroom through a critical lens is an innovative teaching strategy as it deviates from traditional classroom practice. As global educators, we must understand and act on issues of global and local significance. As global educators, we must also teach students how to understand and act on these issues. Often times, our students are numb to the events that take place in the world around us and lack the empathy necessary to understand and act, or we as educators may be unprepared on how to address these issues in a classroom environment. In this session, we collectively gather as global educators to discuss the importance of courageous conversations and share strategies for engaging students. Art helps us grow and evolve in our understanding of ourselves, each other and the world we live in. 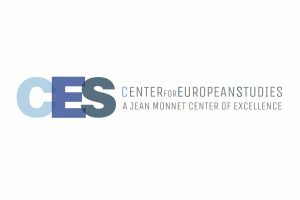 This interactive session will enhance understanding of the Middle East through a cultural arts perspective, explore how the arts can increase global competence and include lessons and resources for teaching about the Middle East in the K-12 classroom. Former Lost Boy of Sudan James “Lubo” Mijak will share his story of fleeing his village in Sudan and becoming a US citizen. 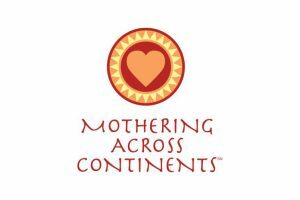 He will explain how his journey led him to become the Raising South Sudan country director for Mothering Across Continents. This session will detail his journey, which has inspired hundreds of individuals, schools, churches and civic organizations and has led to support for education in South Sudan, the world’s newest and most fragile country. #TechTools for Global Engagement DLC aligned! In this interactive session, participants will be introduced to #techtools and opportunities for global engagement in the classroom, including Twitter, Global Read Aloud, Newsela, #MysterySkype, Padlet, InsertLearning, Peardeck and Flipgrid. Participants are encouraged to bring devices to this session. Using Art and Artifacts to Understand the World DLC aligned! Come take a field trip around the world using Google Arts and Culture. We will travel across continents without leaving our classroom. No passports or permission slips are needed. Our stops will focus on artifacts, architecture, photographs, paintings and even some street art. We will explore historical moments, delve deep into the visuals of specific decades and look at the political viewpoints of artists. Along the way we will learn how to collect art to make it easy to share with students, so that we may provide students with experiences in the art and culture of our world. As a teacher, you will learn how to navigate Google Arts and Culture, create a curated exhibit based on a discussion question or theme and walk away with a crowdsourced list of ideas for immediate classroom use. This session will engage participants in an interactive discussion about critical and justice-oriented teaching: What it is, the multiple ways it can be done in schools, and its historical and theoretical roots. Participants will also examine recent investigations into the teaching of war to children of soldiers and the teaching of lynching in communities where lynchings occurred. Digital Literacy Should Be Disruptive: Transformative, Entry-Level Approaches to Digital Research and Writing DLC aligned! There has long been a tension between seeing digital developments in education as evolutionary or revolutionary. No doubt, many new activities helpfully extend familiar approaches in the classroom. But as we deploy digital tools to improve existing models of teaching we may miss out on opportunities to more fundamentally shift learning dynamics. This presentation looks at ways that digital approaches with low-threshold learning curves not only productively add value to existing assignments but also promote changes that create transformative possibilities in the classroom. Edtech Addressing Global Goals: Inquiry-Driven, Online and Free DLC aligned! When we ask students to learn using authentic resources, we transform them into global thinkers. Rather than passively receiving information from a teacher or textbook, students engage in inquiry – making sense of the stories, events and ideas of the past and present through document analysis and aligning content within its geographic context. Experience how well-designed technology empowers students to explore global issues using case-study inquiry with open-ended questions, identifying evidence from images and text, collaborating with peers and creating content-rich annotated maps. The standards-aligned online activities showcased in this session promote critical thinking and support the themes outlined in the Goals of Sustainable Development outlined by the United Nations. Participants will explore the document analyzer tool to read selections of primary-source document passages from varying points of view. Participants will also experience the ease of tools that provide clarity for students reading background content on global topics. 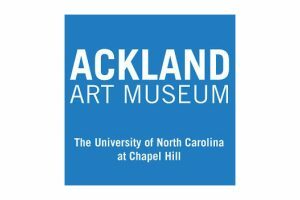 Remarkable Journey: Founding the Asian Indian Community in North Carolina is an endearing documentary that offers both a global and a state perspective on Asian Indians, offering an excellent way to engage students in topics such as immigration, Asian Indian history, Indian cultural diversity and Asian Indian contributions to North Carolina. As part of this session, participants will view excerpts from the film and engage in discussion with Councilman Steve Rao, who is featured in the film and became first Asian American elected official in North Carolina in 2011. Participants will also learn how to access a free copy of the film and accompanying teaching guide by Carolina K-12. “Fake” News and Teaching News Literacy DLC aligned! What is “fake” news? How do you know what you’re reading online is accurate? Do you want to improve your students’ ability to evaluate what they see on the Internet? 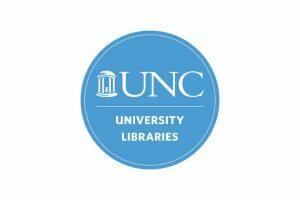 UNC librarian Stephanie Brown has taught multiple news literacy sessions for high school teachers, senior citizens and librarians – and she wants to share what she’s learned. This presentation will include effective and politically neutral ideas you can use to teach students how to verify the information they find online. Stephanie will demonstrate techniques to teach news literacy with hands-on activities and will show how to fact-check stories using NCWiseOwl and Google. Stephanie has developed a checklist that helps students consider the credibility of sources, and she will share the checklist along with suggestions for its use in the classroom. Finally, Stephanie will share some great websites with lesson plans for teaching news literacy in middle and high school. All material will be available online for you to use and modify to suit your students and classroom situation. Global Ed in Math? We Don’t Have To Do That, Do We? It’s in our evaluation instrument, we’ve all seen it: Teachers promote global awareness and its relevance to subjects they teach. But how do we do that? Is it enough to just pull a few world problems and call it a day? Not really. We have to go deeper, making the mathematics applicable, meaningful and global. It isn’t the easiest task, but it’s absolutely worth it. Check out this session for ideas on how to incorporate global content into your math classroom! 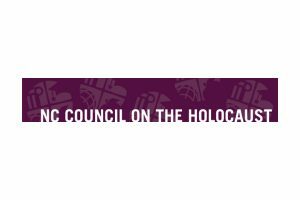 This session will review the history of anti-Semitism and how it manifested itself as a catalyst for the Holocaust. Participants will also reflect upon historical anti-Semitic terms and images, as well as those used by neo-Nazis and white supremacists, increasing our understanding of how these emblems are used to continue Holocaust denial and distortion in our world today. Finally, we will share some critical thinking and tolerance activities that will help our students navigate through these troubled times. Why Teach About the Holocaust in 2018? 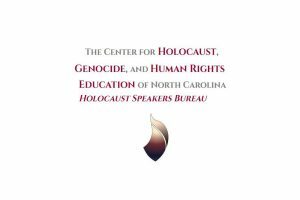 This session will ask participants to reflect on basic Holocaust history – understanding that it was a watershed event in the history of the world – while also examining the choices that people, groups and governments made during WWII. We will review the ideas of how democratic institutions can be easily pulled apart through apathy and neglect. Best practice activities will include ways to help our students understand the ramifications of racism, prejudice and stereotyping and why we continue to need to teach the lessons of the Holocaust in the twenty-first century. The demanding and often complicated challenge of school and district leadership often positions leaders to combat the “one more thing to do” attitude when implementing school improvement. The presenter will prompt leaders to reflect on aspects of instructional leadership and school improvement – including systems and processes management, human and financial resource alignment and professional development commitments – to assess and evaluate the extent to which they promote globally aware school cultures. By considering initiatives such as Social Emotional Learning, Problem-and Project-Based Learning and Restorative Practices, school and district leaders can identify strategies to shape school culture to increase students’ global competency. Required for CEU credit: To maximize your experience during the symposium and to earn 1.5 Continuing Education Units (CEU) you will need to read and complete the preparatory materials, attend the full symposium and submit a required assignment and completed study guide AFTER the program. The study guide has questions to be answered before attending the October program and afterwards. Download the CEU and DLC tracker here. To further educate yourself or refresh your knowledge of the fundamentals of globally competent teaching practices, read pages 7-16 of Teaching for Global Competence in a Rapidly Changing World. 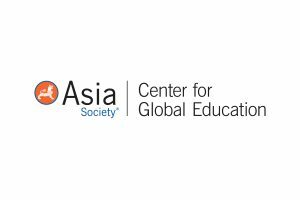 Published by Asia Society’s Center for Global Education and OECD, this pdf guide can be accessed here. October 9, 2018: Explore what’s trending around the world. Global Voices aims to build understanding across borders by curating, verifying and translating news and stories from around the world. The site publishes articles in English and 40 additional global languages. Download your parking pass for the Friday Conference Center here.